You may have seen that Millenials these days, are too exhausted or tired. They are never satisfied with their sleep. Uncover why? Last week while I was writing my final year thesis, I bang on my books and sleep. And I woke up astonished as I have wasted my time sleeping. Maybe I was tired enough OR maybe I have been suffering from sleep deprivation. I wondered! But unfortunately, I missed the thesis submission deadline and suffered the outcomes. So instead of crying over the spilt milk, I tracked my routine to explore where I have been lacking and I was surprised to see my indulgence everywhere which I should have limited to overcome by busy routine. But, wait. I started questioning to myself. Am I too lazy, or everyone is. Do all millennials go through the same phase? I do agree that millennials are the busiest generation. At one time if you see them studying, the other time they would be freelancing to earn their living, and the very other time they would be managing their social lives. They have a lot to do but if all the activities are coming with the compensation of the sleep, then it’s high time to stop it. The importance of sleep is undeniable! “Millennials who don’t get enough sleep were 4 times as likely to suffer from poor concentration, short-term memory, relationship problems and 3 times more likely to be depressed and 2.6 times more likely to commit suicide,” says a study by Mental Health Association. But the reasons that causes sleep deprivation in millennials can be controlled if they got their eyes on them. The craving to be present everywhere and anytime digitally destroys our inner peace. We become addicted to the social medium and keep scrolling our profiles 24/7 – even if we woke up from the midnight sleep. The wish to stay connected with the news feed pulls us away from the real world activities. Millennials tend to do more work, extra gigs or simply browsing for the whole night. Do you know Bill Gates didn’t allow his kids to have cell phones until they were teenagers? And same is for Steve Jobs who don’t let his kids connect with iPhones and iPad besides being the founder of the Apple. The word ‘Perfect’ don’t exist in the real world. Therefore the quest for perfectionism can make us lonely, sleep deprived and frustrated. Since millennials are counted as the most competitive generation so they battle the race of perfection without thinking of the consequences. They have their one leg in their books and the other one chasing their careers. If on one side if they are managing their academics, then on the other side they would be growing their startups. And the problem with them is that they want all things perfect so they can reach the edge of the competition. To achieve their long term goals, they let go of their sleep hours daily. But the after-effects of this practice can shatter their dreams as adequate sleep forms the health of your mind and body. So, the pursuit of perfection keeps us working abundantly while staying up at night. Not only this, but it can also make us apart from the present moment while taking away the vitality of life. Millennials are the first generation who are surrounded with exorbitant student debt. Even if they are taking help in their academic career, they have to filter the cheap essay writing services platform that can match their pockets. The lack of finances causes stress and anxiety among the individuals as they are constantly checking their emails, working during the bedtime and turning their homes look into office. As a result, it creates an association between leisure time and work and makes sleep time more difficult. Looking at debt, a common financial source of stress, on average a millennial between the age of 25 and 34 has $42,000 in debt,” says Mike Kisch, CEO and co-founder of Beddr, an FDA-listed sleep wearable. We have often seen millennials snacking or dining out to save their meal preparation time. They also consume alcohol, nicotine or caffeine that helps them to stay up late while on the other hand affecting the sleep cycle. Taking foods that contain high -sugar and high-carbohydrate throughout the day can alter your sleep patterns at night and bring changes to your mood. While there are foods that are healthful to sleep, other foods that we eat in large portions before bedtime can undermine your nightly rest. Therefore, the millennials should have a check on their diet as this can also be the reason of the sleep deprivation. 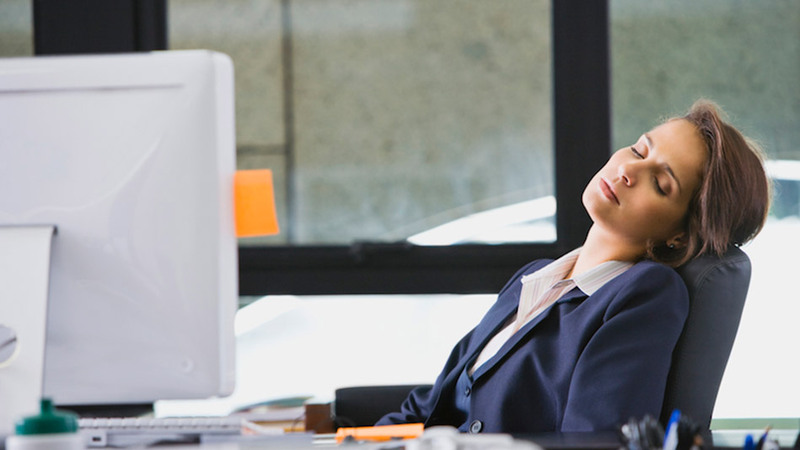 Sleep deprivation is really a cause of concern especially in the case of millennials. As they are the first generation who are ubiquitously connected to the internet and have problem logging off from the digital world. Moreover, they also prioritize work more than rest because they insist that they can live with the lack of sleep. However, it’s not true! Doctors and top medical experts recommend 7 – 8 hours of sleep every day. Because you can compensate with the sleeping patterns for a short -time but in the long run you will suffer the consequences like heart diseases or chronic illness. A great number of millennials in the workforce of most of the companies and especially the IT Startups. These millennials also trouble their companies with their poor sleep habits. Thus result as, late showing up, dizziness in the meetings & conferences, less productivity, and certain sleep naps during the day. To cope with this issue, a concept of Smart Workplaces is introduced. 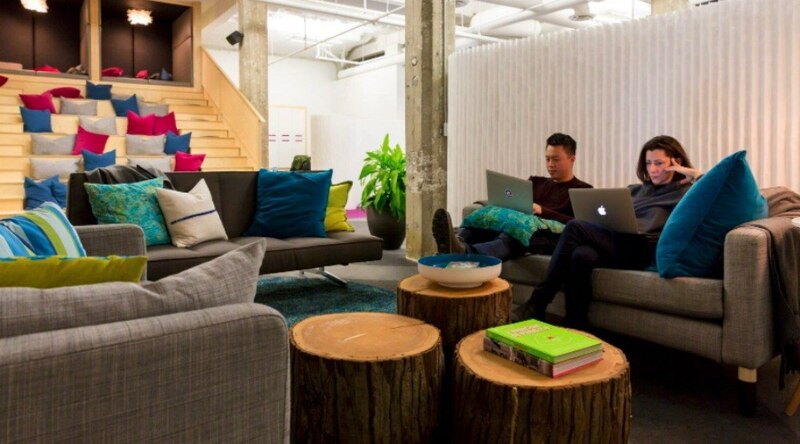 In this, comfortable workspaces are designed. Chairs are replaced by sofas or bean bags. Bar and cafe tables have replaced the normal office cabins and desks. Separate restrooms are dedicated for sleep naps, which are also termed as “Power Naps”. A Smart Office In Seattle. At Archideators, Interior Design Company In Karachi, we are also focusing and bringing constant improvements to empower millennials on work. This includes flexible timings, remote working, comfortable sitting and 30 Minutes power naps. So, summarizing the topic, these are some tips you should follow to overcome sleep deprivation and running your day with productivity. Don’t let work overhaul you – Maintain a balance between your personal and professional life. Turn off the digital medium while you are sleeping as the mobile beep causes distraction in your sleep. Read, Write & Think – Follow the best habits of successful people. Exercise Regularly – It helps to get a perfect and peaceful good night sleep. Eat Well – Include fruits and vegetables to your diet and take light meals before bedtime.